This is specifically the version of Peter Cannon… Thunderbolt! that appears in the Kingdom Come Limited Series. Published in 1996, Kingdom Come was a vision of a possible future of the DC Universe. This powerful story was quite influential, and several key DC writers considered that the DC Universe was indeed headed toward these events. Peter Cannon has the ability to tap into the mythical 90% of the human mind that the rest of us never use. As a result, he has an amazing range of abilities. He is able to use this will energy to increase his physical abilities as well. The only real limit to his abilities is his own imagination and will. Cannon was trained in Tibet by an ancient order dedicated to physical and mental perfection. For a time he was believed to be the Chosen One of this order, but this turned out to be false. Cannon moved to New York City and adopted the identity of Thunderbolt some time ago. 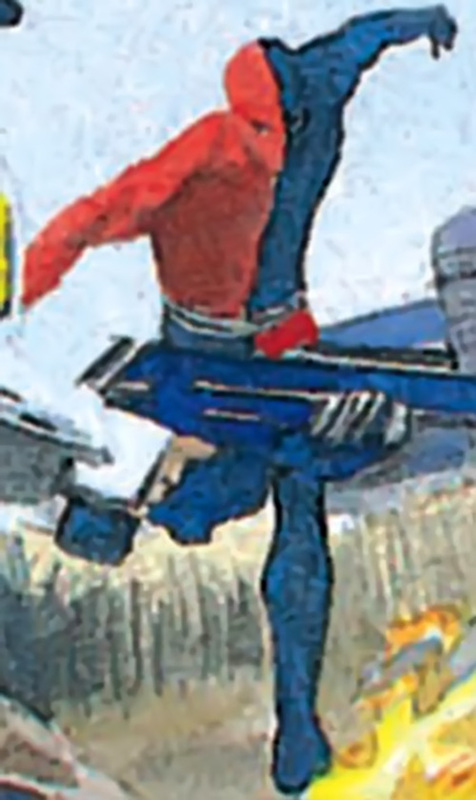 Rather than tip his hand and reveal the exact extent of his abilities, Cannon chose to have the world see Thunderbolt as just another speedster. He primarily focused his will into his running speed while in public. He correctly assumed that his opponents would underestimate him. He enjoyed a moderately brief and successful career as a crime fighter before he was invited to join Captain Atom’s new Justice League, which turned out to be Magog’s Justice Battalion. Cannon remained in the Battalion partly out of friendship with Captain Atom and Blue Beetle and partly because he felt he might be able to help Magog attain a sort of inner peace. Thunderbolt died with the rest of the Battalion in Kansas while trying to apprehend Parasite. Thunderbolt has worn a number of costumes throughout his career as a crimefighter. But all of them kept the same red/blue motif. His last costume very simply covered his entire body including a full face mask, with the left half of his body a deep blue and the right a deep red. Thunderbolt is fundamentally a pacifist. But he understands the necessity to respond to violence, and the limited use of force to restrain those who would endanger the innocent. He is soft-spoken and gentle. In public, he mostly uses his Power Reserve to enhance his DEX and Running and keeps his many other will-based abilities a secret even from his teammates, using them discreetly as necessary. Power Reserve can be used to add to Thunderbolt’s DEX, STR, WIL, MIN, Omni Power, or Running. Omni Power reflects Thunderbolt’s ability to tap into the full potential of his mind and should only be used to simulate abilities that could be generated in this way (Mental Illusion, Control, etc.). Iron Nerves, Lightning Reflexes, Sharp Eye. Blue Beetle (High), Justice Battalion (High). 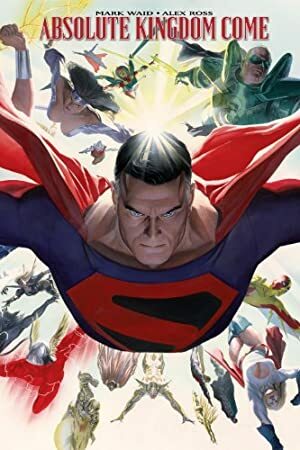 Source of Character: Kingdom Come (DC Comics).